The rugged landscape and turquoise lagoons in Fiji’s archipelago is high on many travel wish lists for families. Stunning beaches and spectacular, crystal-clear water provide a backdrop for unforgettable tropical vacations in the South Pacific. Diving, surfing and snorkelling are extremely popular pursuits in Fiji and every imaginable adventure activity can be found here. When the sun goes down, watching a Fire Dance while dining on luscious local food is just one of the memorable ways to spend an evening. Its welcoming culture and mix of luxury hotels and simple beachfront bures draw tourists in droves. 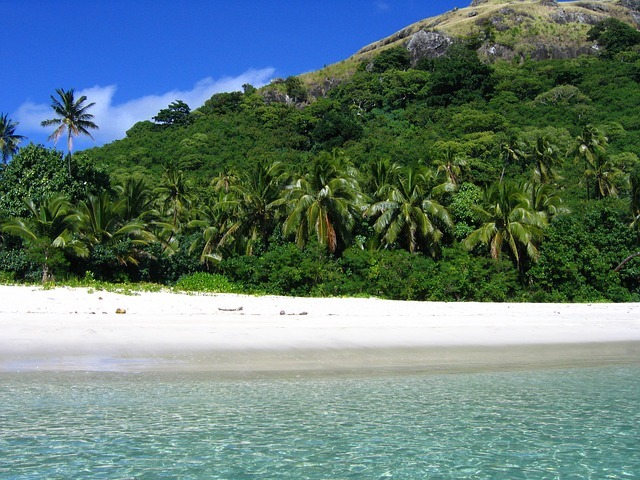 But with over 300 islands, crowds are not the norm and it is easy to find your dream Fijian place in Paradise. Fiji is a very popular place for families to visit. 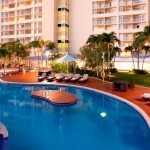 A holiday here is just so easy, especially for us Australians. Below you will find our list of the 10 best family resorts in Fiji to make it easier for you to find your best choice. Hilton Fiji Beach Resort and Spa is located on 1.5 km of beach on Denarau Island. This luxurious resort is one of the best family resorts in Fiji. Every room offers a private beachfront terrace or balcony, and the villas are spacious and luxurious. Dine at one of the beachside restaurants. Families will love the fun activities and treasure hunts at The Kids Club, and the huge swimming complex offering seven pools. This hotel offers cribs, high chairs and playpens and there is a children’s playground. The lavish rooms and apartments feature floor to ceiling windows and the largest apartment sleeps up to 7 adults, making the Hilton Fiji Resort and Spa Denarau Island fall squarely under the category of Fiji luxury family resorts. This well-known island getaway is a real contender for the best family resort in Fiji. Treasure Island is a truly relaxing Fijian tropical island resort offering a wide range of non-motorized and motorized watersports, and a massive pool complex. Treasure Island kids club, for children from the age of 3, will keep little ones happy with daily supervised activities such as mini golf, dancing, water sports and games. The numerous activities that keep every member of the family entertained help to make this one of the best places to stay in Fiji with kids. 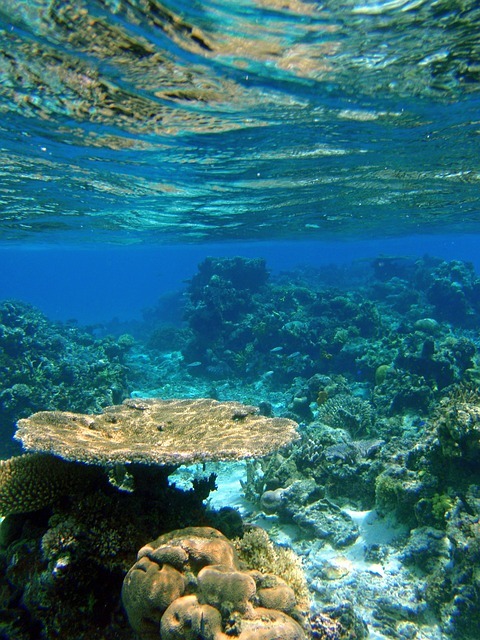 The island is a natural marine reserve and the calm water allows for learning snorkelling and easy fish watching. The modern bure-style rooms allow 3 adults or 2 adults and 2 children. High chairs are available, and meal plans are offered. Located 90 minutes from Nadi airport on the Coral Coast, the Fiji Hideaway Resort and Spa is one of the best Fiji resorts for families. The resort features traditional and air-conditioned Fijian bures right on the beach, overlooking the coral lagoon. 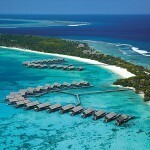 Known for its incredible snorkelling and diving, this resort has daily activities running from morning til night. A destination in itself, Hideaway offers some of the best snorkelling and diving in Fiji, an excellent reef surf break, 600 metres of white sandy beach, Day Spa Village and free nightly entertainment. 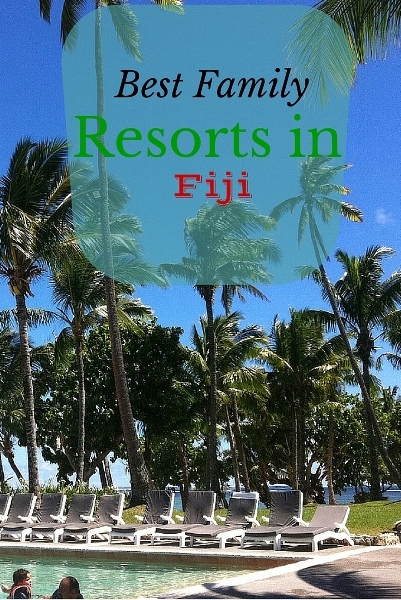 This resort is one of the most family friendly resorts in Fiji. Each bure is furnished with hairdryers, fridge, tea and coffee making facilities, and included in your stay is a full buffet breakfast and free Wi Fi. All of these added value extras add up to one of the best Fiji resorts for families. A complimentary introduction to scuba diving is offered for those aged 11 and older. This impressive resort has won many tourism awards, placing it amongst the best resorts in Fiji for families. 5-star Fijian gracious hospitality is what is on offer here and every member of the family will be treated like royalty. One of the most appealing features of this resort is the MeiMei nanny service. For 2 hours every morning, children from 6 months to 12 years can participate at no cost, in age-appropriate activities ranging from arts and crafts to language classes. There is a kids club and a teen club as well, with activities throughout the day, truly making this one of the best Fiji resorts for kids. The family bure is generous in size and offers 1 king bed, 2 double beds and 2 sofa beds. Cribs are available upon request. Daily maid service, a hammock outside and coffee and tea making facilities all help to ensure a relaxed and pleasant stay. Boasting 82 luxurious 2 and 3-bedroom villas, this upscale beachside hotel is considered to be one of the best Fijian resorts for families. The fully equipped villas accommodate between 6 and 8 in each unit. The resort’s 6 swimming pools and 14 dining choices provide endless options for whiling away the sunny days and starry evenings. Fijian fire walking and dancing shows are offered. Beach activities and a children’s playground will keep busy families happy. Motorized watersports and the spa will entertain the adults in the family. The kids club for ages 4-12 offers free daytime activities such as face painting, fish feeding and Fijian language classes. Plantation Island Resort Mamanuca is nestled on 23 acres of the 553 acre island of Malolo LaiLai, part of the Mamanuca Group of islands. Located about 16 km and a 10-minute plane ride from Nadi airport, this beautiful resort is one of the best family accommodations in Fiji. 7km of white beaches fringed with coconut palms is yours to explore. Rooms and traditional bures are all close to the beach and there is a variety of rooms from which to choose. The Classic bure sleeps up to 4 with 1 queen and 2 single beds; other options include a 2-bedroom bure sleeping up to 8. Cots are available at no charge. The choice of activities is impressive: surfing, bungee jumping, sailing, golf, and that is just for starters. The Coconut Kid’s Club offers an enormous variety of activities ranging from crab hunting to beach cricket and treasure hunting. Teens can join the Lairo club, providing teens from ages 12 – 16 with the opportunity to connect with other teens and enjoy such activities as fishing, volleyball, necklace making and tye dyeing. The Plantation Island Resort is a wonderful choice for Fiji accommodation for families. 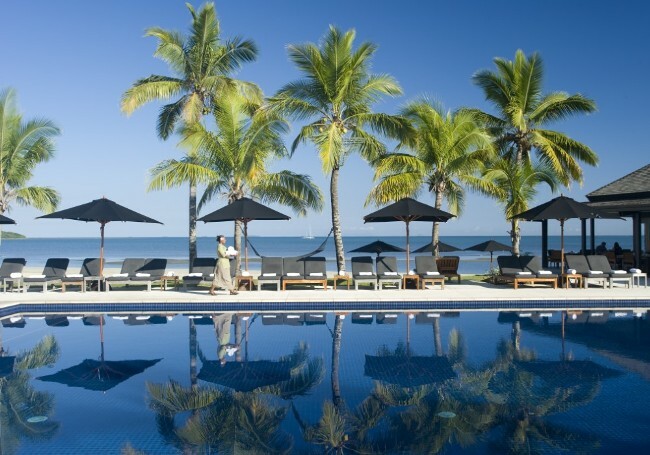 Five-star Sofitel Fiji Resort and Spa is an excellent choice when searching for Fiji kid friendly resorts, as this beachfront hotel provides everything necessary for a luxurious, pampering getaway. An indoor and outdoor playground, Children’s Club from ages 3 – 12 and a huge array of watersports will keep the kids busy, and the adults can have a sauna or a massage after a game of golf. Rooms and suites are mostly waterfront, and lavish in detail. The Oceanfront Junior Suite offers a set of bunkbeds and 1 queen bed, with a PlayStation 3 and an LCD tv. Some superior rooms and suites include access to the age 16-plus Waitui Beach Club. Located 20 km from Nadi airport, the Sofitel Fiji Resort and Spa stands out as one of the best hotels in Fiji for families. What makes this hotel one of Fiji’s 5-star family resorts is the combination of amenities and location, blended with just the right amount of luxury. Located just 4 km from Nadi airport, this beachfront family friendly Fiji resort is a wise choice when seeking accommodation in Fiji for families. Radisson Blu Resort Fiji Denarau Island, which is set on 10 acres of pristine beach, is located only 20 minutes from the international airport. Featuring the island’s only white water tunnel slide, an action-packed family vacation is guaranteed at this kid friendly resort in Fiji. Eat world-class cuisine while admiring breathtaking waterfront views or dip your toes in one of the four sparkling lagoon pools. Accommodation choices range from lush guest rooms featuring a king or twin beds, to 1 and 2-bedroom apartments with full kitchens. 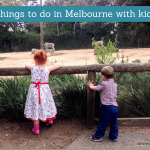 Free internet, a day spa and watersports round out the options, and a kids club provides fun for the little ones. 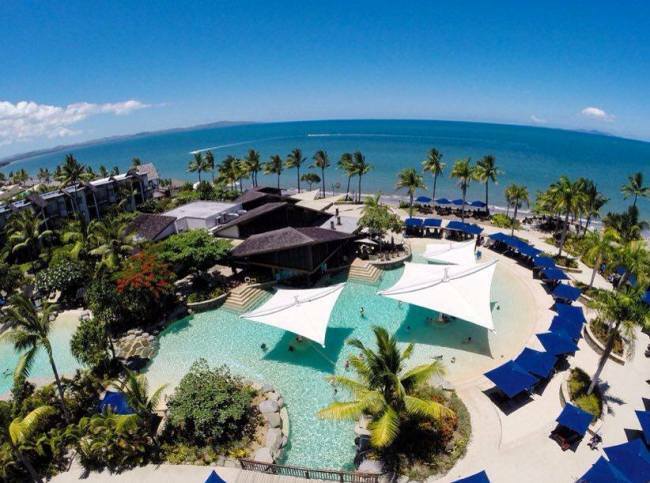 All in all the Radisson Blu Resort Fiiji Denarau Island is one of the best resorts in Fiji for families. 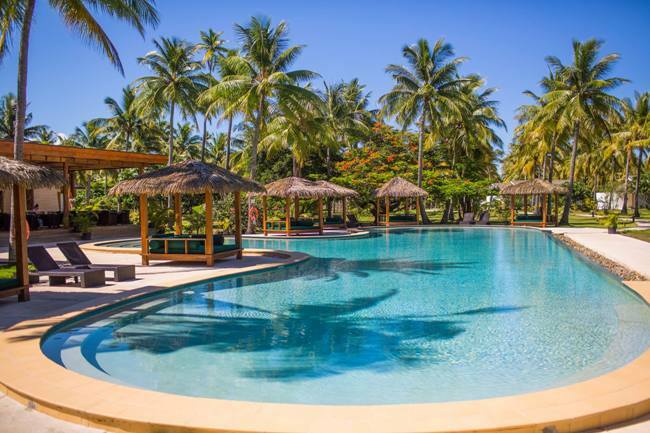 With only 28 rooms, laid-back Geckos Resort, located on the coast about 40 minutes from Nadi, is one of the best family friendly Fiji resorts. A pool table, darts, swimming pool and large-screen TV will appeal to families with older children, and the whole family will enjoy the studio units with refrigerator and 1 queen and 1 single bed; rooms can interconnect allowing larger families the space they require. Fresh seafood and other local delicacies are available in the restaurant, which is open from 8 am until late every night. Those searching for Fiji resorts for kids will appreciate the full-service amenities in this understated, smaller budget hotel. 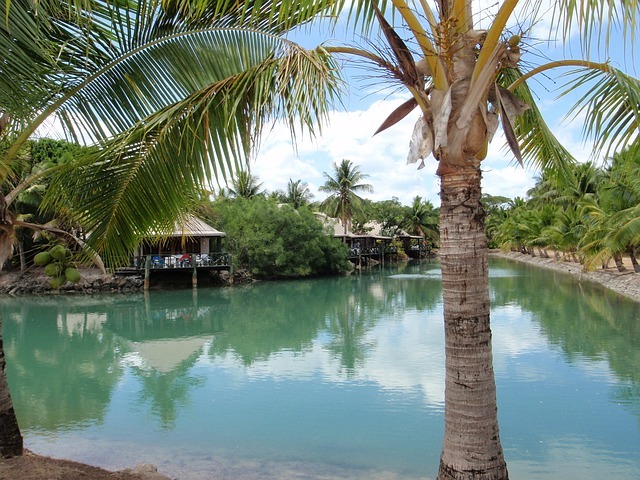 These self-contained 3-star apartments are located in Nadi, just 5 minutes from the beach. Each air-conditioned apartment offers a full kitchen and dining area, a full bathroom with shower and free parking, making this one of the best family hotels in Fiji. 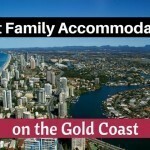 Cribs are available at the cost of FJD 10 for one child aged 2 or under; extra beds are not permitted. Transfers to and from the airport are available. Families on a budget who prefer self-catering accommodation should add this property to their list of best family hotels in Fiji. You can also read our full guide to visiting Fiji with kids. 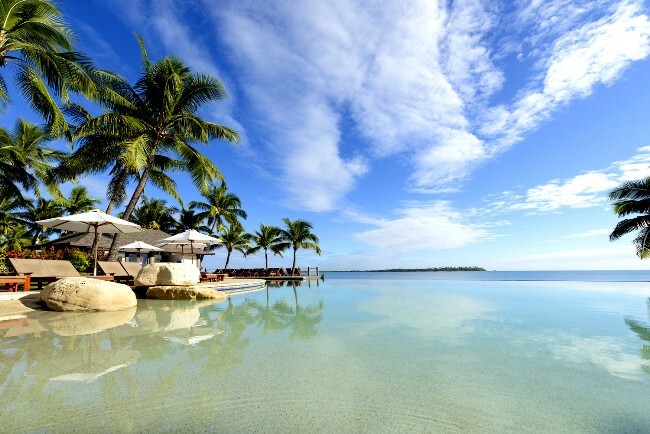 What is your favourite hotel in Fiji?